Have you been thinking about using cloth diapers? Well, there's no better time than now to get started! Today's cloth diapers are affordable, cute, and yes, they're also effective! And they're probably even easier to use than you imagine! In this article, we answer common cloth diaper questions for those getting started, and provide links to some of the resources on our site. I am participating in a blog hop this month about cloth diapers. 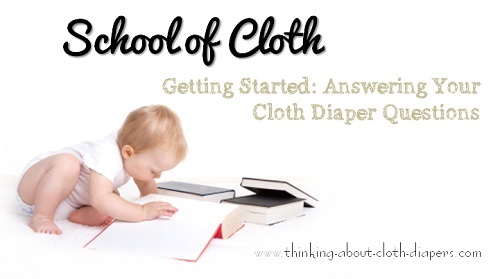 The School of Cloth is a month-long educational event sponsored by the Real Diaper Association, and delivered by cloth diaper businesses, cloth diapering bloggers, and the entire cloth diaper community to help raise awareness about cloth diapers. There are lots of great reasons to consider cloth diapers. Whether you're interested in saving money, reducing waste, or eliminating your baby's exposure to chemicals found in disposables, cloth diapers are a great alternative to disposables, and most parents that use cloth never look back! Let me tell you one thing: using cloth diapers really isn't that hard! While the first few wash cycles take a bit of concentration, you'll soon find that (even in a sleep-deprived state!) you can care for and wash cloth diapers on auto-pilot. First things first - set your budget and select a few different types of diapers to try. If you can find a retailer near you that offers a rental or trial program, take advantage of this to decide what you like best. 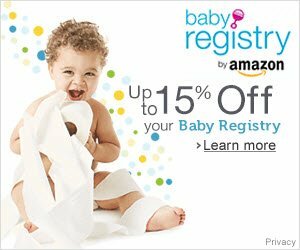 Most will give you discounts or credit back on diapers you decide to purchase at the end of the program, and they are a great way to try out several brands risk-free! We provide a list of some of these programs in this article. Make your own diapers and inserts by upcycling common household products! Next, read up on laundry before you start. Laundry is the number one cloth diaper question! But, if you select an appropriate detergent and develop a simple and effective wash routine now, you'll be able to avoid a lot of potential problems that some people find crop up later (i.e., stinky or stained diapers). We have a section on washing cloth diapers. Finally, find a few reliable resources for information, and learn as you go. You don't need to know everything there is to know about cloth diapers before you even get started! Buy a few, wash a few, and then figure out any other details as you go. The articles on our website have been designed with new users in mind, and there are lots of other great resources out there. Our Facebook fan page has lots of great conversations with other cloth diaper moms out there, and we're always happy to answer our readers' cloth diaper questions! Keep in mind that cloth diapers aren't complicated, so if you're reading something that seems overly confusing or contradictory, you might want to Google for another article that's easier to understand! Don't let yourself get overwhelmed! Anyone with a baby has to change diapers! In the end, it's comforting to remember that all parents have to deal with poop, and so the only difference between cloth and disposables is that you can wash and reuse cloth diapers. 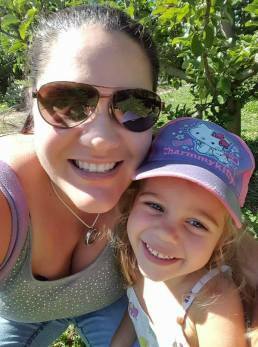 An article I wrote called "If I Could Cloth Diaper All Over Again" which explains 5 things I would do differently and 4 things I wouldn't change if I was to start over again. I'm glad that we decided to use cloth diapers. Getting started wasn't nearly as hard as I had imagined it would be. When you get started with cloth diapers, you can save money, and feel good about the fact that you're reducing the amount of waste you send to landfills as well!